CPUID CPU-Z is small and fast tool which retrieves information about computer's hardware configuration. It is easy to install and to use. 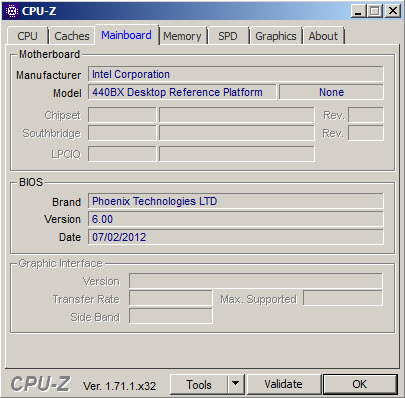 You can view information about CPU (processor), RAM memory, mainboard and general data about operating system. 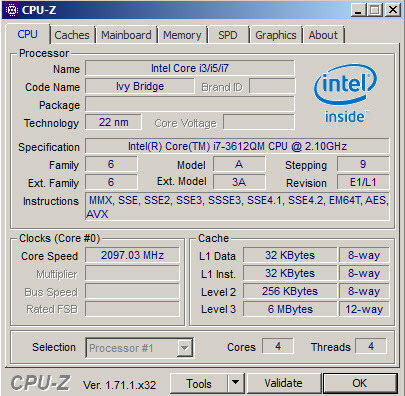 The interface is organized into modules, each component shows detailed info such as processor name, speed, mainboard manufacturer, model and BIOS version, memory size and graphic card, operating system version and type (32 or 64-bit), DirectX version. It allows to save reports in TXT and HTML formats. CPU-Z is available as free download for Windows 32-bit and 64-bit. CPU-Z is 100% clean and safe to install. You can see the test results here.